Wow..what a beautiful record and amazing music… This Finnish band has produced their 2nd full length LP and it is fantastic. It comes in a beautiful packaging with lyric sheet in English and Finnish and on 180 gram high quality vinyl. Finnish folk music including Finnish lyrics and female vocals, characterize this band.. The title translates into the Path. The title track starts the record off and finishes with just guitar and voice (The Path I and II). A Foreign Tongue is a really amazing track with a Middle Eastern flavour and nice instrumentation. Summer is a much shorter track with really nice flute playing and electric guitar solo. Omini’l Dakakos is a slow mysterious number which features some synthesizer and bassoon! This is a long track with a lot of slow moving moods and no percussion or drums at all. A gift or a Curse starts side B and it has a real English folk feel to it. I GOT Lost is a spoken word piece with mostly acoustic guitar and some mellotron. Quite spooky… Ouija features Theremin, violin and some synthesizers as well. This track is also very spooky and strange at the end and leads into My Youth. This is a really excellent record.. Buy it if you collect vinyl and like strange and interesting folk music. I really like the way they mix up the use of different instruments on all the different tracks. Brilliant! This Turku-based folk rock band have released their second album some time ago. As their debut from 2004, also Polku is available both on CD and vinyl, thanks a lot for the bend for that. 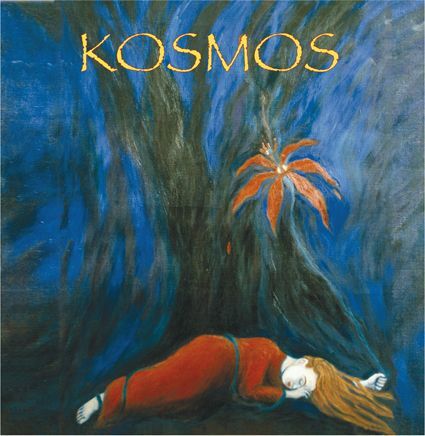 Musically Kosmos still follows the paths charted by the late 60’s and early 70’s folk rock bands especially from the UK, but is now a bit more psychedelic. The sound of the band is very natural and honest, although they just had to use sampled Mellotrons. The album begins in a very positive way with the short ”Polku I” that includes some bird-song, bass, acoustic guitar and vocals. “Vieras kieli” is a mystical psych folk piece bringing to mind Incredible String Band and continuing the album in a great way. In addition to vocals, this really amazing track includes for example percussion, organ, some whistle and acoustic guitar and could well be a song by the German duo Fit & Limo. Excellent! The pretty and a bit sad “Kesä” has an interesting vibe created with alto recorder, drums, electric and acoustic guitar and bass. The track also includes some solos. The over eight-minute-long “Omini’i Dakalos” ends the vinyl’s side A in a very peaceful manner including for example some sampled Mellotrons, guitar, synthesizer, bass, violin and bassoon. ”Lahja vai kirous” presents Hector-styled, pretty ordinary and plain folk and the great lyrics are by Maija Linnala who’s not in the band. The Mellotron samples start off the next, mystical track called “Eksyin” that only has a little bit of narration and a rather ominous atmosphere. I really like this one! In the end there is some tender humming. “Ouija” is a dark and excellent piece that has cymbals as a special effect. In addition there is some acoustic guitar, synth, violin and sampled Mellotron and towards the end the Theremin creates an even scary mood. This is a really great track, and the open gatefold cover also reveals an Ouija board hidden inside. The slow track “Nuoruus” has some piano, vocals, Mellotron sounds, organ and bass and is a marvellous number that sounds a bit like Renaissance. The under two-minute-long “Polku II” is again a bit more positive including for example some whistling. The album finishes with some bird-song, again. Polku is in every aspect a very successful album and I can warmly recommend it to everyone who likes a bit psychedelic folk music. You can order the album directly from the band.